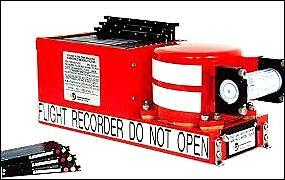 How Flight Data Recorders can live through aircraft crashes. While travelling in large jet aircraft is statistically the safest way of getting from place to place known to humankind, there's still rarely a year that passes without a large jet going down. And off course, the recent terrorist attacks involving aircraft have drawn the attention of the world to terrible pictures of catastrophe. But following all large aircraft crashes a question is always immediately heard - "Have they found the Black Box?" 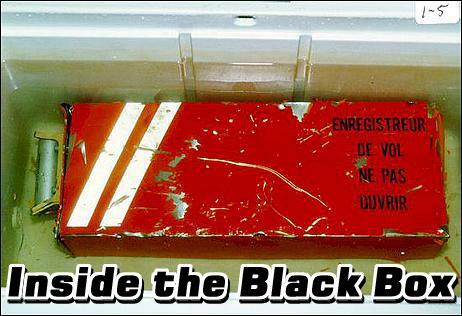 For it's the Black Box which very often provides the definitive clues as to what went wrong. And invariably - no matter how huge the impact was - the Back Box survives. So just what do these incredible Black Boxes consist of? How can they retain their recorded information when being subjected to an impact the equivalent of a deceleration from 450 km/h to a standstill - in just 45cm? How do they survive through those fierce jet-fuelled fires that burn for hours, hot enough to soften steel? How can they still work after being plunged into the depths of the ocean, sometimes ending up literally kilometres under water? Firstly, the recorders aren't called 'Black Boxes' anywhere except in the general media. Everywhere else they're known as Flight Data Recorders and Cockpit Voice Recorders - two names, because there are actually two units in each plane. The Cockpit Voice Recorder records radio transmissions and sounds in the cockpit, such as the pilots' voices and engine noises. The Flight Data Recorder monitors parameters like altitude, airspeed and the direction in which the plane is flying. Both Flight Data Recorders and Cockpit Voice recorders were once unknown - passenger planes flew with no data recording mechanisms at all. It was the crash of the first commercial passenger carrying jet aircraft - the beautiful British Comet - that started the ball rolling. When one Comet was lost, the aeronautical world was rocked - when another crashed, the situation was serious. Experts around the world gathered to consider what might have caused the crash of the aircraft. One of those consultants was an Australian chemist, Dr David Warren. He was an expert in fuels; it was thought that a fuel explosion might have doomed the aircraft. However, his contribution to aircraft safety was not to be in his normal area of speciality - instead, as he listened to the discussions of those trying to devise a crash cause, he decided that finding why the Comets had crashed would be helped considerably if the investigators were able to hear what the cockpit crew had been saying just prior to the incident. So why not fit a cockpit voice recorder to all aircraft so that if a crash occurred, these conversations could later be heard? In 1954 he wrote a report on the idea, and in 1958 organised the building of a working model, using steel wire as the recording medium. This prototype could store four hours of cockpit speech and instrument data. 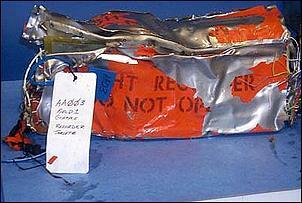 However, the Flight Recorder gained little support - and it's illuminating to hear why. The Royal Australian Airforce suggested that "such a device is not required - the recorder would yield more expletives than explanations", while The Federation of Air Pilots declared that it would be like "a spy flying alongside - no plane would take off with Big Brother listening". However, an air official from the UK, who was visiting Australia at the time, saw the prototype Flight Recorder and was enthusiastic about the concept. On his return to the UK, authorities started moves to make the fitting of the recorder compulsory, and a UK company went on to develop the recorder as a commercial product. In the US, development had also been proceeding, and on August 1 1958 the first US mandate to fit flight recorders to certain aircraft was issued. 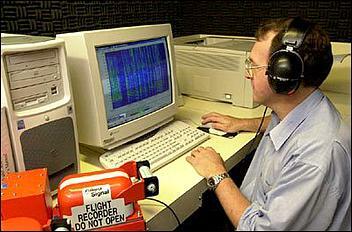 In 1967, Australia became the first country to make both flight data and cockpit voice recording compulsory. 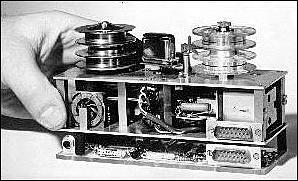 As indicated, the first Cockpit Voice Recorders used stainless steel wire as the recording medium. 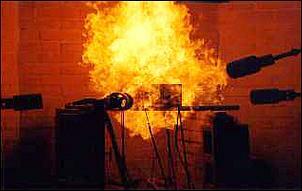 While magnetic tape was common for recording sound, wire had the advantage of being much more durable in the event of a crash - in fact, it was said to retain its record even when heated red-hot! In addition, at the time, it also took up less room than tape. In the same period, US-manufactured Flight Data Recorders used metal foil (Incanol Steel) to store the data. The foil was literally scratched by scribes mounted on arms, with the arms attached to moving coil electrical meters and air pressure mechanisms. One single strip of foil was capable of recording 200-400 hours of data, with foil recorders generally logging only compass heading, altitude, airspeed, vertical accelerations, and time. While the foil was believed to be nearly indestructible, surviving the crash actually proved to be a serious problem. In addition, the reliability of foil recorders was poor - one study showed that in accidents, 48 per cent of the foil recorders were not working! 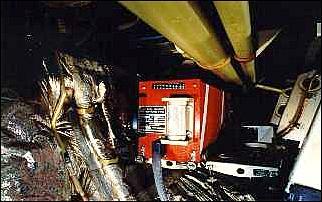 Over time, the wire used in Cockpit Voice Recorders was replaced with magnetic tape - with the tape better protected from the effects of a crash than had been needed with the wire. 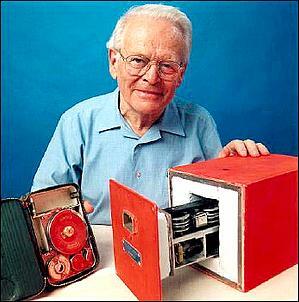 This resulted in a new generation of Flight Data Recorders that also used magnetic tape. However, by the 1970s the amount of information needing to be logged increased to an extent that conventional Flight Data Recorders were unable to cope. This problem was overcome by the introduction of Flight Data Acquisition Units, devices that digitise and format the information before transmitting it to new design Flight Data Recorders. These second generation Flight Data Recorders used tape spools 90-150 metres long, capable of recording 25 hours of data. 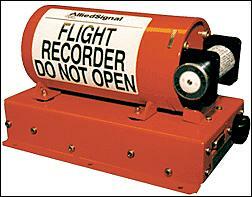 Current systems use fully digital storage and are called Digital Flight Data Recorders. They can store 64 12 bit-words per second over a 25 hour period. In the US, the Federal Aviation Authority has issued a Code of Federal Regulations that requires the recording of at least 88 parameters on aircraft manufactured after August 19, 2002. It's easy to be blas? about these numbers - until they're looked at closely. 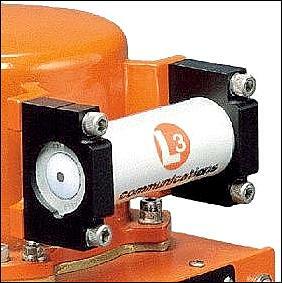 An acceleration of 3400g's means that internal components within the recorders will weigh 3400 times more than normal. 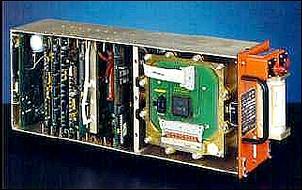 Incredibly, a Fairchild-manufactured Cockpit Voice Recorder has survived a crash with an impact force estimated to be more than 6000g's. And a temperature of 1100 degrees C? That's higher than the melting point of gold! In a crash impact test, a gas cannon fires the recorder into an aluminium honeycomb target, causing a 3400g deceleration. In the penetration resistance test, a 225kg weight with a 6mm hardened steel spike is dropped on the recorder from a height of over 3 metres. A static crush test applies 2.3 tonnes of force to each of the unit's six major faces. Deep sea pressure is recreated in a special chamber filled with pressurised salt water, with the tested unit staying in the pressure chamber for 24 hours. It must then survive in a salt-water tank for 30 days. The temperature test is fuelled by three gas-powered torches, with the recorder placed in the middle of the fireball. Flight Data and Cockpit Voice Recorders generally have some parts destroyed in this testing; not all of the device is expected to survive the crash - just the bit that matters. The recording medium - be it digital chips or tape - is housed in an especially strong part of the recorder. Most flight data recorders and cockpit voice recorders are constructed with an aluminium sheet metal chassis, and the protective capsule containing the records is made from heat-treated stainless steel or titanium. 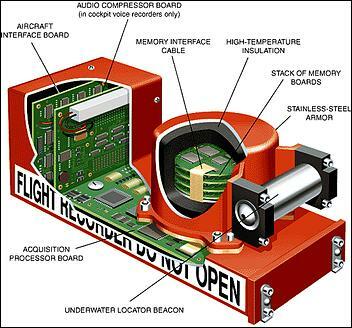 In Digital Flight Data Recorders like the unit pictured here, a thin sheet of aluminium is placed around the memory cards. Wrapped around that is a 25mm layer of dry silica insulating material, while the external stainless steel shell can be up to 6.4mm thick. To maximise their chances of survival, Data Recorders are placed in the tail of the aircraft. In that way, the length of the plane ahead of them can act as a crush zone, usually reducing the crash force to which they are subjected. However, taking this approach has a few disadvantages as well. The long cable runs between where most of the information is gathered and where it is stored increases the likelihood that if the plane begins to break up or if the power cable is severed, information will not be recorded in the last - and often vital - few seconds. To overcome these problems, there is a recommendation in place that after January 2005, all planes currently using analog tape recorders are to be retrofitted with digital units that will feature an independent power source able to support 10 minutes of operating time and engage automatically when aircraft power ceases. In addition, all aircraft built after Jan 1, 2003, will be equipped with two combination voice and data recording systems. Both systems will continue to record all normal parameters, but one set will be located close to the cockpit and feature an independent power supply, while the other will be mounted at the rear of the aircraft. To aid in their recovery, both Cockpit Voice and Flight Data Recorders are painted bright orange and are fitted with reflective tape. In addition, a cylindrical-shaped underwater beacon is bolted to one end of the recorder. If the recorder is immersed, the beacon is activated, sending out an ultrasonic 37.5 kHz beep once every second for at least 30 days. A current model Digital Flight Data Recorder has a mass of 7kg (when subjected to 3400g it 'weighs' nearly 24 tonnes! ), uses 35W of power (max) and 8W (typical), and costs US$25,000. With a 120 minute recording capability, a Cockpit Voice Recorder has similar specs but costs a little less at US$24,000. The automotive equivalent of a Flight Data Recorder can be found in recent car airbag crash sensors. These are usually calibrated to 50g, and a few have the ability to record data relating to the crash event.